We have already talked about this ship many times and have been watching the news about her construction closely. Finally, we invite you not just to talk about her, but also to have a look at her and take an exciting virtual tour of this new member of the world's cruise family. 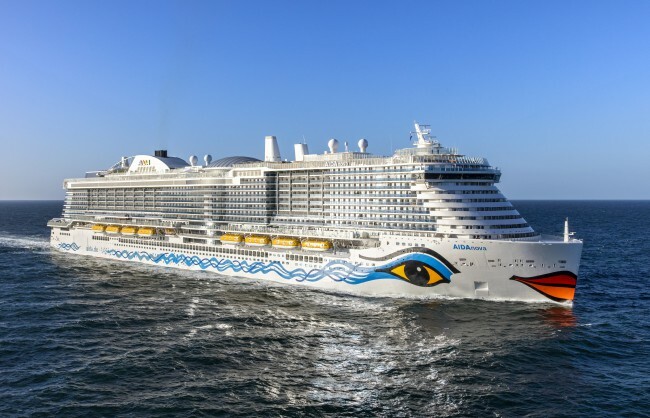 The latest addition of AIDA Cruises, the AIDAnova ship, was delivered by Meyer Werft in mid-December of the past year. She has a tonnage of 183,900 GT and can accommodate 6,600 guests. By the way, AIDAnova became the world’s first cruise liner to run fully on LNG. Currently, the AIDAnova cruise ship is enjoying her premier season, and cruise lovers from all over the world begin to post their videos and impressions of the voyage on this innovative liner. Of course, we can’t help but share these videos with you. So let’s go! At first, let’s look at AIDAnova’s accommodation. Finally, it’s time for an exciting full video tour of the ship. It is a report of the 8-day sailing on AIDAnova. Is there anyone who has already sailed on this beautiful lady? Please share your impressions in the comments! By the way, 2019 is going to be very eventful – you can check the list of new cruise ships 2019 via this link.